Construction related law and regulations govern how the construction businesses and activities should be carried out in lawfully and orderly manners. There are various sets of codes of practices governing specific areas of works whether in design or implementations of construction works from before the commencement until the end of completion of any construction project. Whether you work in developer, consultant, main contractor, trade specialist, subcontractors or suppliers, getting familiarized with construction law and regulations and the various code of practices is an essential part of your job. 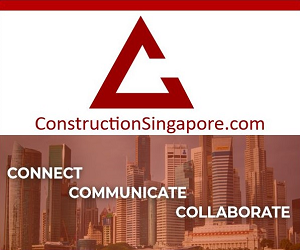 The construction related authorities BCA, URA, MOM, PUB, NEA, LTA, SCDF, HDB, JTC, MINDEF, IDA etc, in Singapore have their respective rules and regulations to abide to for construction activities. These lists of regulations together with the code of practices define the boundary of how construction activities should be carried out in Singapore. These are the legal boundaries for all construction businesses to follow. Get yourself familiar with them to steer clear off legal troubles. Construction industry has shown significant growth over the years in terms of sheer volume and technological advancements. Increasing reliance on construction industry for overall economic growth of the country has prompted many countries to introduce proper legislation, rules and laws governing the industry as a whole. Construction related Law and Regulations concern the issue related to the building construction, engineering standards and related field. The scope of any construction related law and regulations cover wide range of legal issues faced by the industry. The overall impact of these legal requirement and guidelines extends to all the participants related to construction industry which includes financial institution, architects and construction workers etc. It is imperative for any construction company to get acclimatized to the various laws and regulations governing the construction business in the country. Taking the example of country like Singapore where a large chunk of economic activities hinges around the construction business, government of Singapore has taken significant measures to supervise and regulate the construction industry keeping close check on the health and safety of the workers and general public. There are number of laws and regulations which are in force to ascertain the best interest of people involved. Industry relevant law & regulations is enforced in Singapore as the primary act governing the overall conditions of construction business in Singapore. It outline the required standard which are necessary to build a construction project in the country which includes the approval of building plan and permits required to construct any building. It further outlines the roles and responsibilities of all the major stakeholders in the business environment such as developers, qualified persons, site supervisors and builders etc. The Singapore construction industry is also governed by BUILDING AND CONSTRUCTION INDUSTRY SECURITY OF PAYMENT ACT. The primary objective of this act is to provide the guidelines and legislation to help in the payments for construction work done. It also includes the related goods or services supplied in the building and construction industry and the scope further extend to all the matters connected with this aspect. Building and Construction Authority Act Singapore is also in force to govern the Building and Construction Authority outlining the major functions and powers provided to the BCA and extend the scope to all the matters which are directly or indirectly concerned with it. Following the laws and regulation of the country provides enormous benefits to the organizations working in the country. Singapore authorities have always had a strong stand for the health and safety aspect of the workers and general public and always keep the main focus on the activities of such companies. Best practice are always emphasized and encouraged to be followed which invariably results in the safe and high quality construction ensuring the safety standards in line with the quality built environment. Environmental friendly and sustainable practice are emphasized for the benefit of all people of the country. The guidelines and regulations assist the various stakeholders involved in the construction process to avoid any punitive action thereby increasing their market worth. Responsibility of all the parties involved are outlined thereby negating the chances of any misconception. Need some professional advice on legal matters? Check out our construction legal advice listings. Join in the discussion on the relevant topics and contribute your ideas and opinions in our construction law forum.